Yarn & Tea… Where did August go? One minute I was planning a few projects and thinking (haha) that I’d start on my Christmas gifts then the next minute I was dropping our daughter off at the university. I did get some projects done and a serious dent in another project. And, well, one that I think I’m just going to abandon. My last project of the month was a tiny one. While shopping we found a huge scoop at the shoe store. Among the deals, daughter found these boots for $15 !!!! So I had to whip up a pair of cuffs for her the night before she left. I based them on a pattern I found on 7Alive’s site. I adjusted for the opening of the boot and added a couple rows of double crochet. 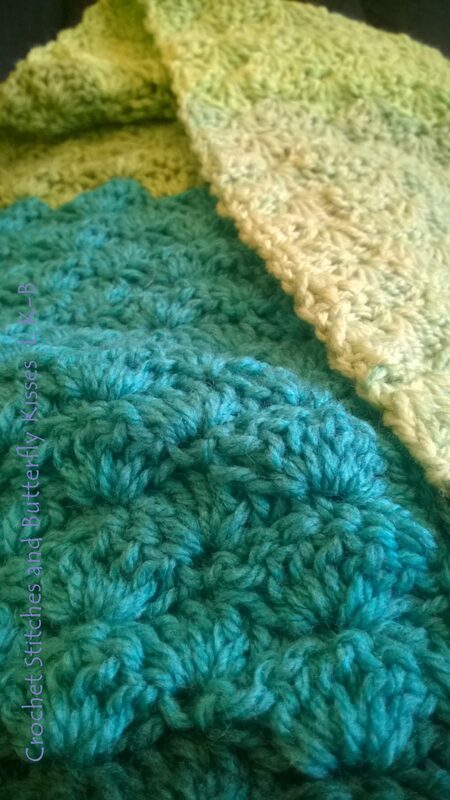 I used some Bernet’s Handicraft Cotton that I had left over from another project. Daughter’s boyfriend liked the fish that I made for her so I made him one too. It was supposed to be all red. (Thinking Dr. Suess books…) but I needed more yarn. I thought red and gold were good luck colours so I mixed them. As I finished my daughter laughed. I had used her school’s colours for his fish! I spent a fair bit of July and into August on a crochet zebra. I’m tempted to just abandon this project completely. Perhaps if I was more practiced in amigurumi I would know the little tricks but the pattern left those little hints out. Humph… it can sit there while I ponder it. I’ve promised myself that I will start on my Christmas gifts before I play with the new yarn. I really really need to get going on those!! What was on your hook last month? Do you have projects planned for September? Oh oh… I think my yarn stash is about to expand. Oh no! I think I could be in trouble soon. One of my favourite yarns has added some new variations! Dare I go out to my local store to see if we have them? Photo from Repeat Crafter Me. 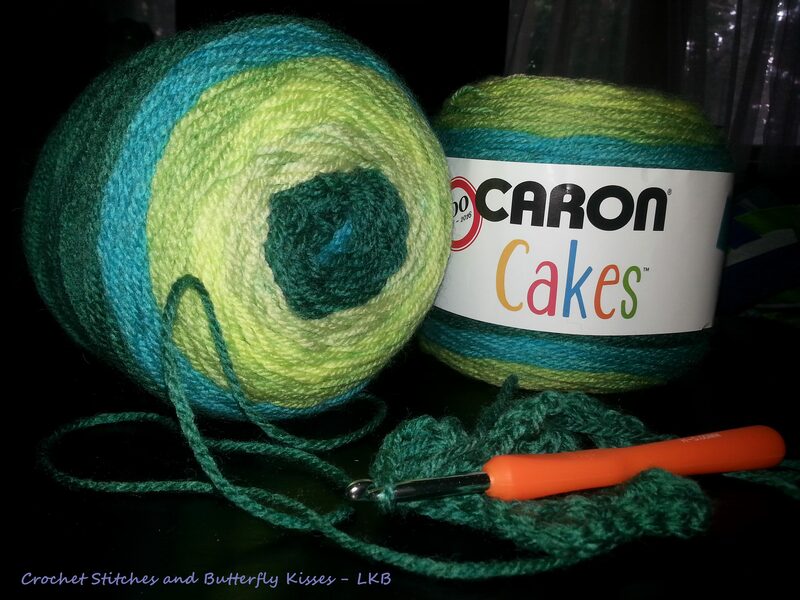 Click here to read more about the new varieties of Caron Cakes. I was (see I said was..I’ve already purchased them in my head) … I was trying to not expand my yarn stash. I was trying to not buy yarn without a specific project in mind. But have you tried the Caron Cakes? I love the texture and colours. I’m sure I’ll love the new variations. And OMG isn’t the Cupcake cute?!?! Now I just have to figure out where I’m going to put these beauties! My daughter does leave for university soon. She won’t notice if I start transforming her room into my crafting room… right? I can’t remember where I first read about this yarn but when I found it at my local Michaels I was thrilled. It works as beautifully as promised and the texture is wonderful !!! So soft and inviting. I am a little behind on my posting. I made this scarf when I purchased my first ball of this delicious yarn Fall 2016. I have several other projects on the go; one of which I have a deadline for so I must be strong. I want to go buy lots more of this yarn and just create. I don’t know what yet but the yarn is such a pleasure to work with that I just look forward to having it in my hands and on my hook! It is a special yarn available only at Michaels. I’m hoping they continue this yarn and offer it everywhere. Just in case I may have to go buy a few balls for future projects. I am kicking myself for not doing that when it was on special last month!! edit: This yarn due to popular demand is continued into 2017 (It was a special Caron “birthday” yarn.) 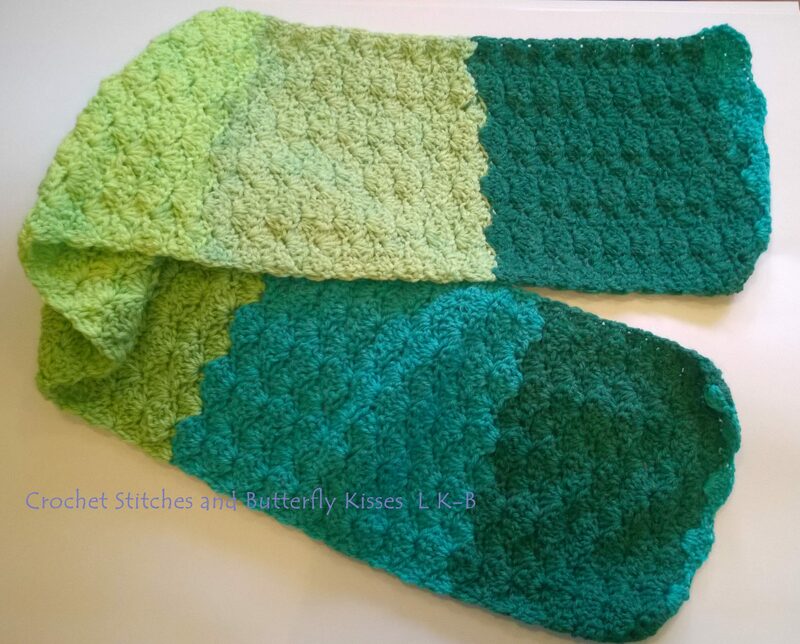 The colour for this scarf, Lemon Lime, is one of the shades that were discontinued. Beautiful Saturday in #niagarafallscanada 💕 So #grateful for all this practically in my backyard.